Control lighting wirelessly with your phone! You can use these wireless battery powered lights indoors or outdoors, even in the rain or snow. The best part is they can be controlled using a free app that you an install on your iPhone or Android phone. 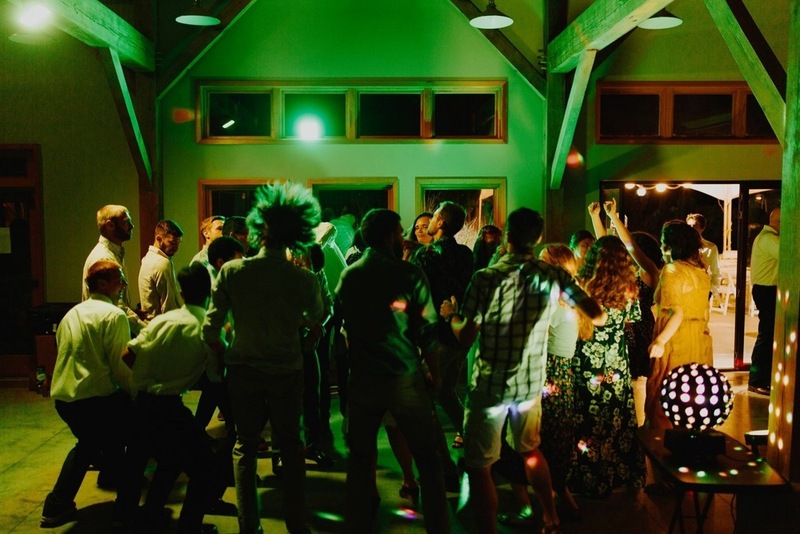 Sync up as many ShadowBox lights as you want and change all of the colors at once using the app. 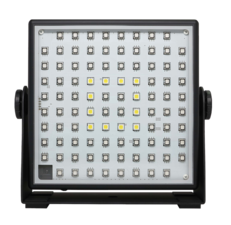 The lights can also be set to fast strobe or slow fade through multiple color combinations. Dimming, strobing, fading and custom color features all supported using the app. 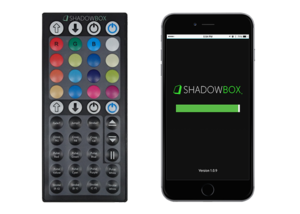 There is a minimum of 4 lights, and each rental order comes with a ShadowHub which must be used to connect the lights together wirelessly. We will also send 1 remote control. If you don't want to install the app on your phone, you will need to use the remote control to set up the lights. The remote does not change all of the lights at once though, you will need to go around to each light to point the remote at it separately. Wondering how many Shadowbox to rent? Just enter either the square footage, or dimensions of the area you want to light in the form below to get an instant recommendation.